Since 1911 the Buonfiglio family has been operating their funeral business spanning four generations. From our great-grandparents Leopoldo Buonfiglio with his wife Rosa (Farone) Buonfiglio also a licensed funeral director. They moved to Revere in 1923 and opened Buonfiglio Funeral Service out of their home on Mountain ave.
Their son, Paul Buonfiglio Sr. a licensed funeral director from 1939-1972 who was appointed to the State Board of Funeral Directors and Embalmers by Governor John Volpe continued the business and opened the Paul Buonfiglio Funeral Chapel in 1947 one of the first of it’s kind ,with the trend of funerals in the residence beginning to end. After years of success the business out grew its facility and in 1964 Paul Sr. contracted architect Harold M. Turiello and General Contractor Anthony Zollo to design and build the new Paul Buonfiglio Funeral Home at it’s current location 128 Revere St. In 1972 Paul Buonfiglio Sr. passed away unexpectedly and his son Paul Buonfiglio Jr. continued the family business. In 1984 Paul Buonfiglio III joined his father Part time helping with wakes and funerals. Paul Buonfiglio III was licensed as a funeral director in 1991 and was then in charge of the day to day operations the firm. Paul III was active in many organizations through out the community including serving as Councilor at large from 1993-1999 he also served as council President, and served as President of St.Anthony’s Holy Name Society. In 1990 Paul Jr.’s youngest son Victor Buonfiglio joined the company. He was licensed in 1995 and continues to work with his father and brother. Victor is a member of St. Anthony’s Holy Name Society where he also served as President. Together Paul Buonfiglio Jr. and his two sons Paul III and Victor continued to grow the business. In August 2004 the Buonfiglio‘s purchased the Bruno Funeral Chapel one of Revere’s oldest funeral business. It was Beverly (Bruno) Collins desire to continue the family business but no longer wanted the responsiblity of the day to day administrative tasks. The Buonfiglio family was honored to be chosen to carry on the Bruno name. In addition, the timing was perfect, it was just after the Buonfiglio’s retained Delvecchio Construction to build their new state of the art facility. Emilio Delvecchio Sr. along with his son Anthony broke ground September 27, 2004. During the construction business was operated out of the Bruno Funeral Chapel. 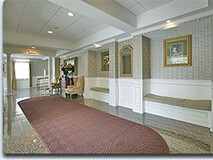 In February of 2005 the new Paul Buonfiglio & Sons-Bruno Funeral Home was completed and open for business. Today, after over 100 years have passed many things have changed. However one thing remains,the Buonfiglio family along with the staff at the Paul Buonfiglio & Sons-Bruno Funeral Home are committed to serving the people of Revere and surrounding communities with honor and dignity and the finest facilities in the surrounding area.